Directions: In a large skillet, cook the hamburger, pepper, onion, and mushroom over medium heat until meat is no longer pink (flavor with salts to taste); drain. Set aside. Roll half of dough into a 12-in. circle. Transfer to a greased 9-in. 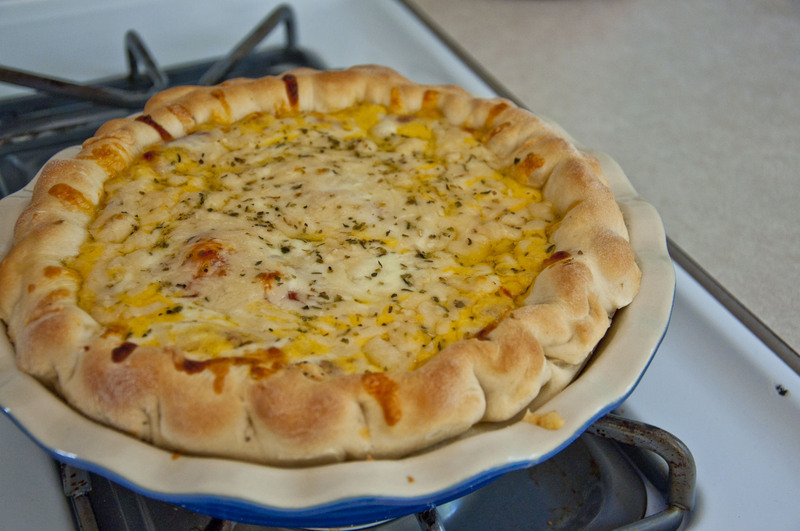 deep-dish pie plate. Layer with half of the mozzarella cheese, Parmesan cheese and pizza sauce. Top with the sausage mixture, pepperoni, and sprinkle italian seasoning on top. Roll out remaining dough to fit top of pie. Place over filling; seal edges. Layer with remaining pizza sauce, cheeses and sprinkle with more italian seasoning. Bake at 400° for 18-22 minutes or until golden brown.